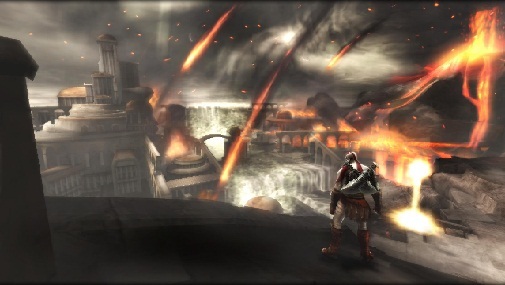 Ready at Dawn, the developers of the excellent PSP God of War titles, Ghost of Sparta and Chains of Olympus, are currently working on a next gen AAA third person action game for a home console- PlayStation 4, presumably-, and are looking to hire people to work on it. “Are you ready to work on an exciting new AAA IP for a Next-Generation home console game system?” the job ad reads. Ready At Dawn is working on a 3rd Person Action Adventure and is looking for talented, motivated and self-directed developers to join our team.” They’re looking for an artist. Considering our past experiences with Ready at Dawn games- Okami, Chains of Olympus and Ghost of Sparta- we’re pretty excited to see what it is. They’re an independent developer, so this “next-gen home console” they speak of could very well be Wii U and Xbox 720, but it’s more likely that it’s the PS4, seeing as they have had good relations with Sony in the past. Stay tuned to GB, we’ll keep you updated.